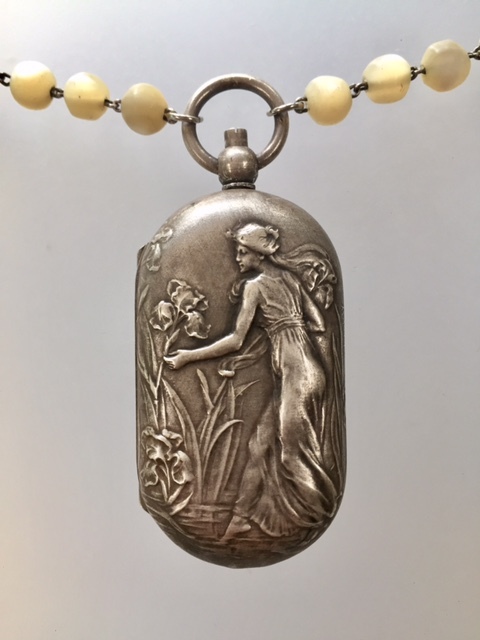 This superb C1890’s Art Nouveau Repousse Coin Purse/Holder locket with an Art Nouveau beautiful Maiden has been made into a pendant on a long strand of French antique Mother of Pearl Beads completed with faceted Crystals. The two coin holders are spring loaded and the button at the top opens the door. A simply YUMMY piece! The back is as beautiful as the front, embellished with Iris Flowers, so indicative of the Art Nouveau period!!! 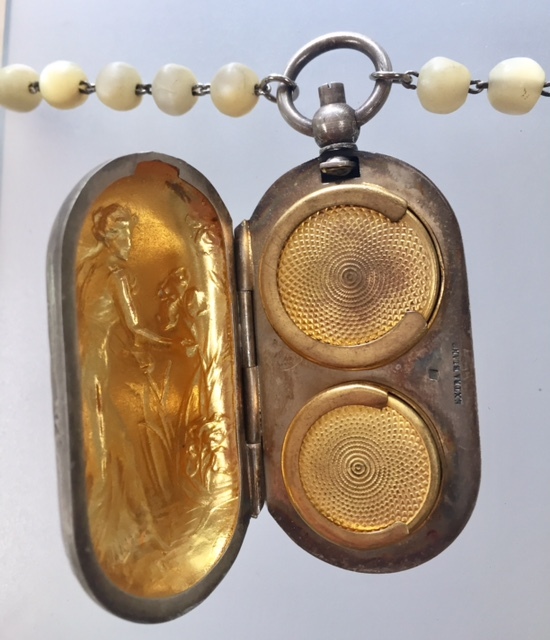 Purse measures a generous 2.75" tall (includes ring? 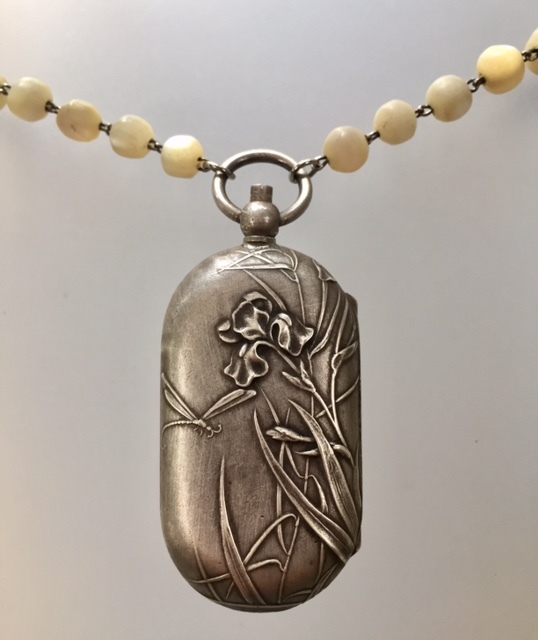 and 1.25" wide, and the necklace is 32" in length.